Lice Lifters uses the latest technologies that are pesticide free and 99.9% effective. Our effective lice services will put you and your family at ease right away. Lice Lifters performs an All-Natural treatment service for head lice removal. With our lice treatment centers in Chadds Ford, PA, you will have the safest and most effective head lice treatment. Our Certified Technicians will perform a combing head check to determine if you have head lice. If lice are identified, we will discuss your treatment options, and the cost of the head check will be factored into the price of treatment. The treatment will begin with a thorough comb-out using Lice Lifters Mousse that stuns the lice and loosens the nits (lice eggs) off the hair. 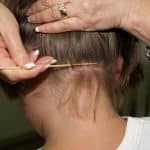 Once all the nits have been removed, the Lice Lifters Solution is applied to kill all live activity in the hair. Lice Lifters Products are natural and safe to use every day. All Products and At-Home Kits are available for purchase at our Treatment Center. Lice Lifters excepts most Flex-Spending Account and Health Savings Account credit/debit cards as payment for services. 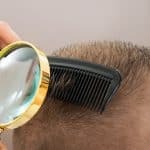 While Head Lice Treatment is not a reimbursable service for most Heath Insurance Plans, Lice Lifters will supply you with the treatment and diagnostic codes that you may present to your insurance company for reimbursement. CONTACT LICE LIFTERS TODAY: 610-557-0457 - ONE QUICK TREATMENT AND DONE!